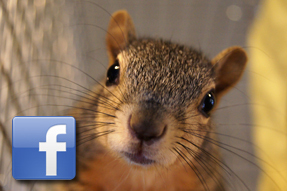 If you've been following the stories of our rehabbing babies and want to help out, here we'll tell you how. A lot of the "ways to help" are easier than you think. Visit our site before Amazon! Right now the Amazon referral program pays for about 15% of our basic expenses. If we can get more people participating, we could do even better. It's easy --before you shop at Amazon just click on the Amazon button at the bottom of our homepage. It won't affect your purchase at all but Amazon gives us a commission for sending you there. The easiest way to remember is to delete your Amazon bookmark and replace it with our website homepage, perhaps call it "Amazon C&C" so you can still find it. It's just one extra click to get to Amazon each time but it helps us SO much. Thank you! 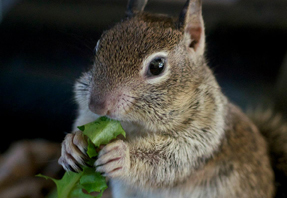 Do you have a yard where we can release orphaned squirrels in the Los Angeles area? We will attach a nestbox high up in a safe tree in your yard. 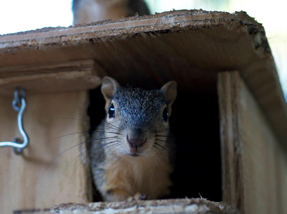 Within hours the 3 or 4 orphaned squirrels will emerge from the nestbox, explore the tree, and within days they disperse to make their own homes in your neighborhood. 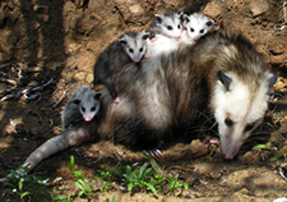 Before arriving in your yard, we will have hand fed these babies for about 3 months -- often they're victims of tree trimming when they lost their moms. 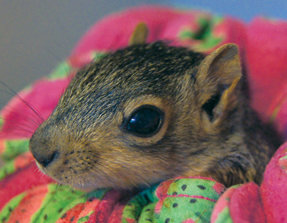 As they're rehab squirrels, they have a bit of a learning curve yet in order to adjust to being in the wild. This is not to say they'll show up at your window in the morning asking for coffee and newspaper, but it may take them a wee bit longer to learn how to get around without their moms to show them. If you have a yard that fits the description, please contact us! We're also seeking drivers to shuttle injured and orphaned wildlife to our rehabbers throughout the Greater Los Angeles area. If you're a safe, insured driver over the age of 18 and area available to help with these shuttles, please contact us. Let us know where you live and when you'd typically be available. Repeated use takes a beating on our nestboxes and we're always in need of more. If you fancy yourself an expert woodworker, send an email to marcia@coastandcanyonwildlife.org and ask for the nestbox specs. She'll send you all the information you'll need. Nestboxes provide safety and comfort for our rehabbing animals. We appreciate every one. Thank you! Sew bedding for the babies! "No one shall enter this fortress without the secret password. 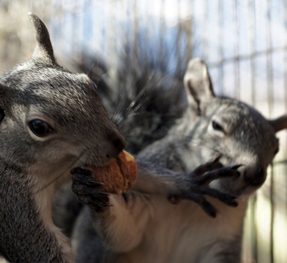 I also accept walnut bribes." 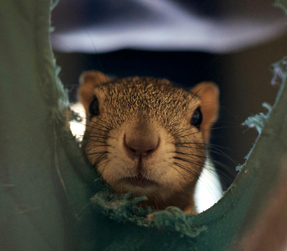 As you can see, squirrel bedding doesn't last forever and we're always in need of replacements. If you're skilled in the sewing arts, marcia@coastandcanyonwildlife.org and ask for the sewing info. Your work will comfort so many babies! Thank you! Maurice doing what he does best ~ snacking! If you're in an area where there are Ralph's grocery stores, you can link your Ralph's card so that we get a small commission each time you shop ~ at no cost to you. The easiest way to register is to have one of our Ralph's postcards scanned at checkout ~ it's that easy. If you'd like Marcia to mail you one of these cards, send your mailing address to marcia@coastandcanyonwildlife.org and ask for the Ralph's postcard. Thank you! "You and I both know coffee tastes better in a skunk mug." 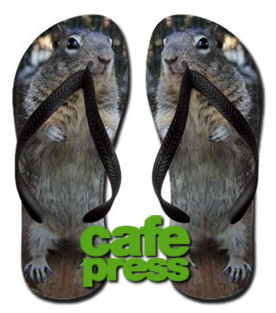 Coast & Canyon sweatshirts, mugs, cards, flip flops, and lots more ~ all available in our Cafe Press store. Every time you make a purchase we receive a small commission that goes directly to helping the animals. You can find the shop right here! Thank you! Every time you like, comment and share our photos, you help spread the word about the work we do. Facebook's new filtering system makes it harder than ever for us to reach our friends so your sharing has never been more important. Thank you!